Happy Birthday to Naoko Takeuchi. In what year was she actually born? 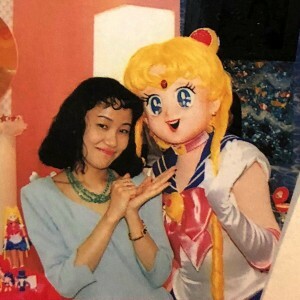 Naoko Takeuchi is the creator of Sailor Moon and author of the Sailor Moon manga and today, March 15th, is her birthday! Last year many fans wished her a happy 50th birthday, as I did in a Tweet which went viral after being retweeted by Brianna Wu. Shortly afterwards however a few things made me wonder if it really had been her 50th birthday or that it was perhaps her 51st. Last year a message by Naoko Takeuchi was read at a 25th anniversary event and posted to the official site which I covered previously. She mentions that on the date of the Sailor Moon manga’s first publication, specified in the letter as being July 6th 1992, she was 26 years old. Since July 6th is after March 15th this would indicate that, had Naoko Takeuchi really celebrated her 26th birthday on March 15th 1992, her date of birth would be March 15th 1966. When I saw this I started to wonder if I was wrong about what I assume was her year of birth. Wikipedia, and many other reputable sources, currently list her year of birth as 1967, which would make her 51 years old today. The Wikipedia talk page shows that there is some disagreement over this date. I think Wikipedia is a reliable source of information but when something appears to be in doubt, I always recommend checking out the talk page to see what open discussions people are having about an issue. This mentions that some Japanese pages list her year of birth as 1966. That said the Japanese Wikipedia page and other Japanese sites currently list her year of birth as 1967. 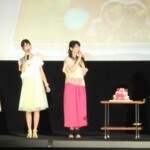 Due to her private nature her age was never listed on the official site, only the day of her birth without the year. The source for the 1967 number appears to have been Hitoshi Doi’s Sailor Moon page. Fans who scoured the Internet in the late 90s will recall this as being a great English language resource by a Japanese Sailor Moon fan. The other source listed is an interview in Punch!! where Naoko mentions that in 1997, when the final episode of Sailor Moon aired, February 8th 1997, that she was happy to get a 5 month vacation at age 30. If Naoko was 30 in February 1997 that would mean that her 31st birthday was on March 15th 1997, making her year of birth 1966. However since there is a 5 month “vacation” mentioned she could simply be saying that she was 30 later in that vacation, making her 30th birthday on March 15th 1997, which would give her a year of birth of 1967. With most signs currently pointing to a 1967 year of birth the statement on that letter stating she was 26 when Sailor Moon began doesn’t add up. This could be an indication that most online sources, all derived from the same place or the result of some assumptions about the Punch!! interview, are incorrect or simply that she misremembered or mistakenly mentioned being 26 at the time the series began. She could simply have recalled being that age when she began working on Sailor Moon earlier that year or simplified the math estimating her age at the beginning of 1992 rather than the later part of it. So what’s the truth? I couldn’t say for sure. With so many sources repeating the 1967 number that seems the likely correct value but there is enough doubt placed on it for me to think there’s a legitimate possibility that she’s actually born in 1966. I’m putting all of the information out there so you can decide for yourself. This isn’t important like, say, when we’ll get more Sailor Moon Crystal. This brings up the other issue. Does it really matter? Not really. 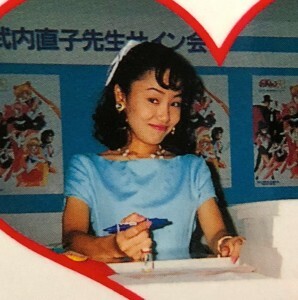 It is Naoko Takeuchi’s birthday. She’s in her early 50s and was in her mid to late 20s when she wrote Sailor Moon. Her family may care about what kind of joke card to get her or how many candles to put on her cake but her exact age doesn’t make a big difference in the lives of fans. I’m just stubbornly interested in discovering the truth about the world so when I see something that doesn’t add up I must strive to know what the right answer is. If you’ve got any thoughts or insight into this feel free to mention it in the comments. Happy Birthday Naoko Takeuchi. Thanks for everything! This entry was posted in Sailor Moon Manga and tagged Naoko Takeuchi by Adam. Bookmark the permalink. 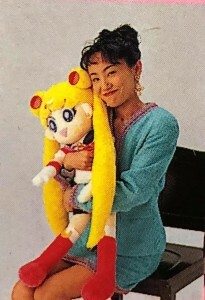 I just love that photo of her hugging the Sailor Moon plush. I tried to recreate that exact pose with my plush Cheshire Cat, but I’m not nearly as pretty as her. So… oh, well! In the name of this fanboy, I’ll wish her a happy B-day! Her shyness makes her cute. It was a toy version of Sailor Moon’s transformation pen. I believe that was a laserdisc extra. This unease on camera is likely why she keeps out of the public eye. It’s not for everyone! Last year, she turned 50. I see a Sailor Moon character mascot. Happy birthday, Naoko. 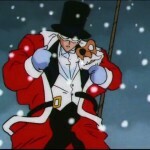 Or lay Toei off to hire a new company for Crystal XD . But I doubt it works like this. The Further Adventures of Sailor Moon! With that new company on our favourite show, the toeilight of our idol won’t happen . Oh, I wish she could boot Toei to the curb and start with a new company! But maybe they will impress us with these new movies. Who knows? Interesting tidbit. Thanks for sharing. I’m familiar with the argument! Usagi seems to go from 14 to 16 over the course of 5 years on the series. People do all sorts of creative math to try to make sense of that but it is clearly stated in the first episode that she’s 14 and in the last episode that she’s 16. In the manga she ages 5 years over the course of the series which is likely why there’s a discrepancy. It’s obviously what happens when you use the Silver Crystal! Does that mean we can knock 2-3 years off our own ages, since we were alive during those events? I believe you age to your early 20s and then don’t age for 1000 years unless you’re Chibiusa in which case you are stuck a child until you have to fight bad guys. It has nothing to do with explaining the age innacuracy, just the fact that when Usagi says she is 14, but it might mean she is actually13.